I'm really excited about today's post. Before I joined the writing staff of The You Are Project, I was looking for ways to find more faith-based inspiration and encouragement online. When I came across this fabulous online magazine, I was thrilled to see that this was a great place for women seeking to grow in confidence, strength and their faith...with some beauty, DIY projects & fashion tips thrown in along the way! Lauren is such a wonderful and inspiring person, and I'm so happy to have her here today to talk a little bit about The YouAre Project! Enjoy! Hey Ladies! 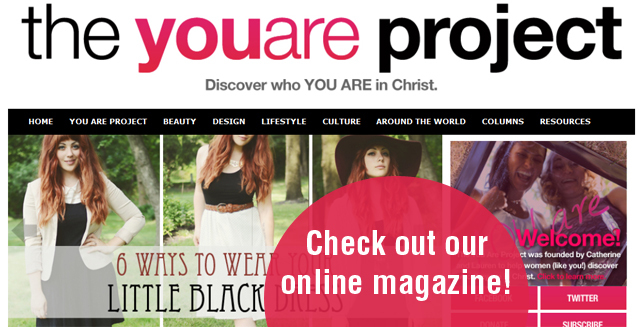 My name is Lauren, and I’m the co-founder and Web Manager for The You Are Project, an online magazine for Christian women. I wanted to take this opportunity to tell you about our vision for this organization. 1. Our confidence, paired with a Godly love for others, will draw people out of their insecurity. I firmly believe that a compliment or support from confident woman has more power than we realize. Our confidence isn’t for ourselves— it is meant to change the people around us. 2. Jealously will evaporate, and relationships between women will be restored. Our unity is a weapon, and will further destroy the enemy’s strongholds on us. 3. We will be unafraid to use our passion and God-given talents in the way that He asks us to. Can you imagine what God could do with a group of women who are confident, strong, unified, and in love with Him? The world would never be the same! Catherine (my co-founder) and I dream of seeing women set free and seeing this vision realized. Right now we are taking baby steps—our online magazine has articles on everything from fashion tips to the scoop on up-and-coming authors and interviews with women who are changing the world. 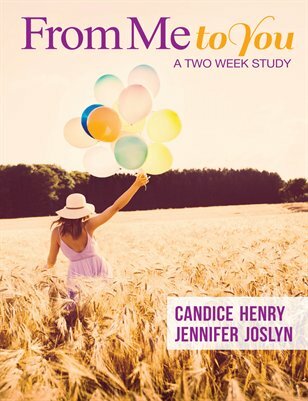 We also have many new projects in the works, from online resources to workshops that will help women discover their purpose and grow closer to God. We would love if you supported us by making a donation, or simply by visiting our website at theyouareproject.com and sharing our posts with a friend. I would like to thank Candice for the opportunity to share with all of you! I hope you enjoy our magazine. Feel free to email me at lauren@theyouareproject.com with any questions or feedback—I love to hear from you! I love that this exists! What a beautiful idea.